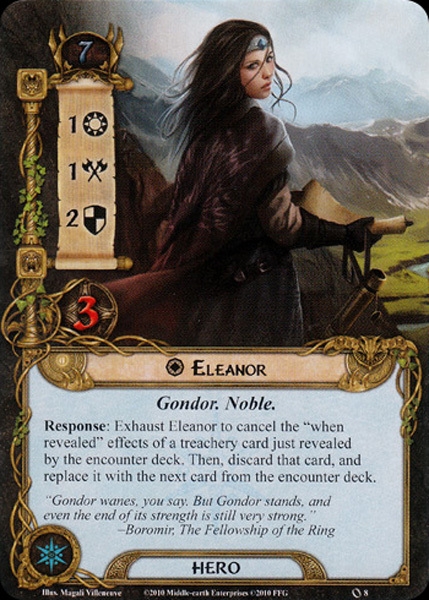 Eleanor's Response can be used during initial game Setup if necessary, but remember that When Revealed effects don't occur unless the setup text specifically says to "reveal" cards (official FAQ v1.1). Eleanor's ability can't cancel other keywords, just When Revealed. Any When Revealed effects and keywords on the replacement card are still resolved because it is considered "Revealed" (errata, FAQ 1.2).